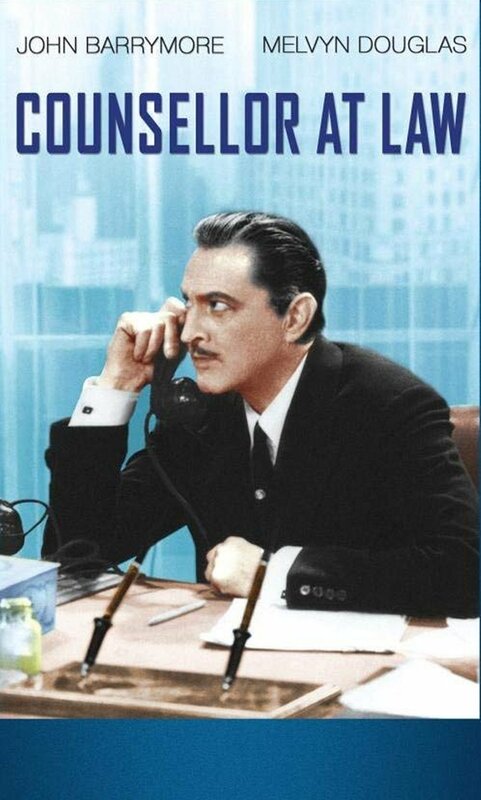 George Simon (John Barrymore) is a successful New York City lawyer who climbed out of a Jewish ghetto to become one of the most respected men in the business. But with a high-class wife (Doris Kenyon) and a reputation to protect, George is secretive about his early life. When the discovery of a misstep from his past threatens his career, and infidelity damages his marriage, Simon's life starts to spiral out of control, with only dedicated secretary Regina (Bebe Daniels) there to keep him afloat. 'Counsellor at Law' is guaranteed to take your breath away, even if you're a child of the so-called MTV revolution of ultra-fast editing and relentless energy. It is more than 70 years old now, and it feels so new and invigorating. 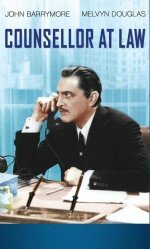 John Barrymore, in the role of a lifetime, plays the brisk and matter-of-fact lawyer who came to his prestige, fortune and society-wife the hard way, cutting corners along the way, meddling in gray areas and doing a bit of shady business on the side. "I'm no golf player", he says, and right he is. In the course of a work-day, the same day that his wife and his two overbearing step-children are on their way to Europe, he is accused of corruption and his whole world collapses around him, as he tries to evade his destiny. No synopsis of 'Counsellor at Law' can do the film justice. It is a manic, mind-blowing depiction of a breakdown, stressful and paranoiac. Barrymore's character is completely alienated from his own family, because he originates from the working-class, the son of a Jewish-German baker. During this one morning at work, before things start crashing down, Barrymore has a visit from a woman who wants him to defend her son who was arrested in Union Square in the middle of an inflammatory Communist speech. And it is not even lunch-time yet. You will want to watch it more than once. It is a bona fide masterpiece, filmed in William Wyler's usual brilliantly organic style.